"Ded Na Si Lolo" Movie Review -- the Oscars Best Foreign Film Entry of the Philippines! How much of Gina Alajar's work have you seen? 1990 Andrea, paano ba ang maging isang ina? 1985 Ano ang kulay ng mukha ng Diyos? 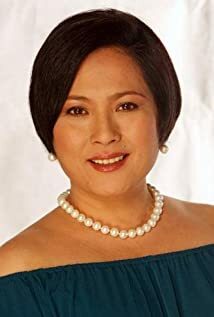 1980 Ano ang ginawa ng babae sa ibon? 1980 Hoy, tukso layuan mo ako! 1977 Wow, sikat! pare, bigat! Separated from her husband, Michael de Mesa. Has three children, all actors, with estranged husband Michael de Mesa (also an actor): Ryan, 29, Geoff, 23 and AJ, 21. Directs television dramas for GMA-7 Network. Circle of friends include contemporaries Anna Marin and Lorna Tolentino.